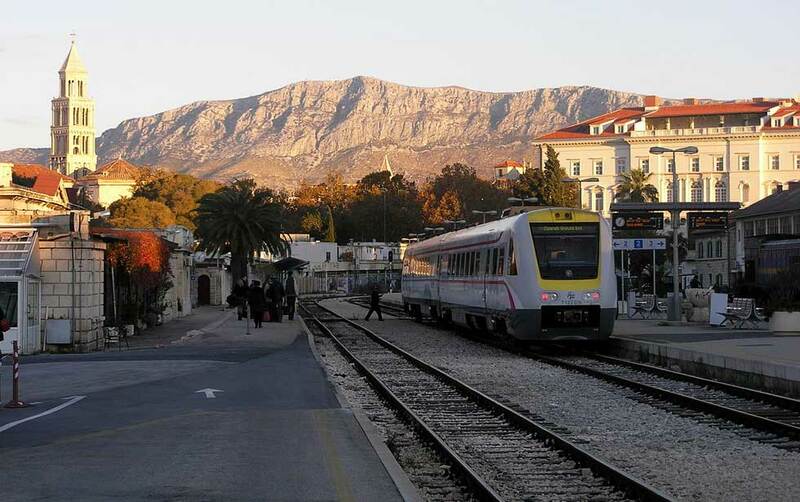 Split's railway station is located in the centre of the city, just a few minutes walk from the old part of the town. It is a simple station with not to many amenities as traveling by train is not to popular - it is mostly used for cargo. Passengers are more used to travel by bus or by plane so the Split train station is not very busy. Facilities on the train station are limited but as the main bus terminal and port of Split are near, everything you might need can be found in the vicinity. Trains run between Split and Zagreb and Split and Perković (connecting to Šibenik). Trains to Zagreb run 4 times - two day trains which take 6 and a half hours to Zagreb and in the summer extra two overnight trains which take 8 and a half hours to reach its destination. There are no train connections south to Dubrovnik. You will have to find other means of transportation. All international train connections run via Zagreb.